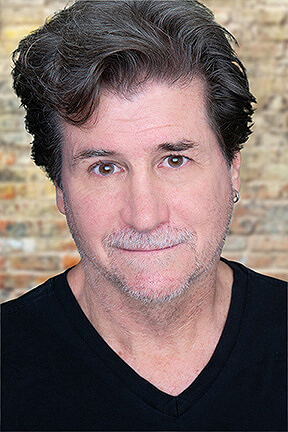 Douglas M. Nelson specializes in headshot photography for actors, musicians, comedians and other industry professionals. Also an actor, he has appeared in 28 TV shows and Films... (my IMDb page). Douglas has been shooting Headshots for actors, movies, television, and stage, over his 30 year+ career... He is constantly striving to bring out the inner beauty of everyone he photographs. Your Headshot is your one chance to show casting directors that "You Are The One" for the job... Achieving this, in your headshot, is very important for actors who want to have that cutting edge with the people that are making the decisions. "The Eyes are the Windows to the Soul". Using this philosophy, Douglas elicits emotions and/or moods that seem to reveal the real person inside...all the while, remembering the business of "making you look your best". It is critical that your shots truthfully represent you, as well as showing your true versatility as an actor...men and women alike. His unique style of photography captures that special quality that is in every client. Keeping the focus on the eyes in every photo, his work communicates with agents, casting directors, and others in the industry. Many of his clients have booked jobs, and/or representation, shortly after shooting. Whatever you want to convey, Douglas will capture it with his unique vision.